With Google’s algorithm placing more emphasis on off-site optimization and link building, it is essential that you take the time to analyze who your competitors are gaining backlinks from. There are a number of link analysis tools out there that will help automate the research process. Link Relevancy: How relevant is the site linking to your competitor? Is it a localized link? same TLD? Quality of the Link: How credible is the site linking to your competitor? Is the site in a “bad neighborhood”? Variety of Links: Are all of the links coming from one site? or multiple sites? Different IP addresses? 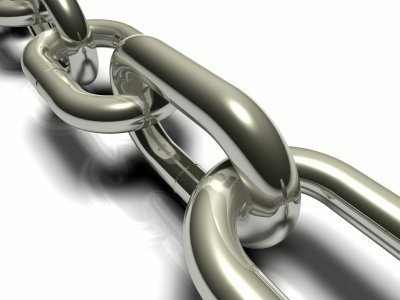 How they are Linking: Are they linking in a blogroll? a massive directory? contextual linking? are they using keyword-rich anchor text? are they nofollowing the links? is it a one-way link or reciprocal link? Tools like Internet Business Promoter and WebCEO are SEO suites that provide a complete set of tools allowing you to research your industry, analyze your website and find relevant link partners. The”Finding Link Partners” feature allow you to enter keywords or competitors and the software will analyze their backlinks and find sites that are linking to your competition. Linkscape is a new link analysis tool that was recently released by SEOmoz. The tool has over 54 billion urls and 230 million domains in its index. Unlike most of the other link analysis tools out there, Linkscape will deep crawl your competitors, giving you a more in-depth look at who is linking to your competitors. Similar to MajesticSEO, Link Diagnosis will generate a link analysis report including PageRank, NoFollow information and anchor text. MajesticSEO is another robust link analysis tool that will gather information including anchor text, number of links pointing to the site, crawl date, etc.. Overall, when doing link analysis research, it is important not to rely on just one tool. The reason is that each tool is necessarily going to return the exact same backlinks. Each tool has pros and cons to them, so take the time to run a search on each tool and aggregate that data on to a spreadsheet.